Mario Batali is always eager to educate the masses about Italian cuisine. He hosts two Food Network programs, Molto Mario and Ciao America. He also engages in fierce culinary battles in the Food Network series Iron Chef America. Mario has authored many titles including Simple Italian Food, Mario Batali Holiday Food, The Babbo Cookbook, Italian Grill, Spain... A Culinary Road Trip, Molto Italian: 327 Simple Italian Recipes and Molto Gusto. 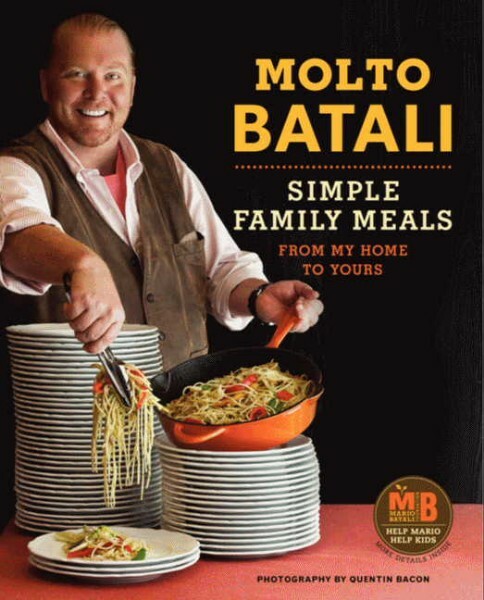 His latest book, Molto Batali: Simple Family Meals from My Home to Yours (Ecco), is divided into the 12 months of the calendar year and offers 120 new recipes for delicious, festive meals meant for sharing and perfect for celebrating with friends and family. From January through December, each chapter includes fresh, simple, seasonal recipes including one major main dish, like a perfectly tender roast, five inventive and mouthwatering veggie sides, three toothsome pasta dishes, and one indulgent dessert. Mario is the chef and owner of eight popular restaurants, the flagship of which is Babbo Ristorante e Enoteca, where he has seamlessly combined traditional principles with intelligent culinary adventure since 1998. The James Beard Foundation honored Babbo with the "Best New Restaurant" award and The New York Times gave it three stars, as it did Del Posto, another formal dining establishment. 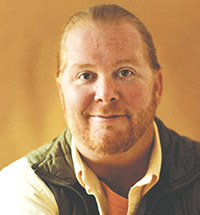 Batali also owns the Roman-style trattoria Lupa, the southern Italian seafood trattoria Esca, Otto Enoteca Pizzeria, the Spanish tapas bar Bar Jamon, the Spanish taverna Casa Mono, and the wine shop Italian Wine Merchants. In Las Vegas, he opened B&B Ristorante and the more casual Enoteca San Marco at the Venetian Hotel. He has also joined forces with Nancy Silverton for Pizzeria Mozza and Osteria Mozza in Los Angeles and with Lidia and Joe Bastianich for Eataly in New York City. Among his many accolades, Mario was named Man of the Year in the chef category by GQ in 1999. In 2002 he won the James Beard Foundation's Best Chef: New York City award and in 2005 the James Beard Foundation awarded Mario Outstanding Chef of the Year. Mario is also one of the recipients of the 2001 D'Artagnan Cervena Who's Who of Food & Beverage in America, a prestigious lifetime achievement award. Batali lives in New York City with his wife Susi Cahn of Coach Farms and their two sons, Benno and Leo. Raised in Seattle, Batali initially studied the golden age of Spanish theater at Rutgers University. Soon after graduating, he took his first bite of culinary training at Le Cordon Bleu in London, from which he withdrew almost immediately due to a "lack of interest." An apprenticeship with London's legendary chef Marco Pierre White and three years of intense culinary training in the Northern Italian village of Borgo Capanne (population 200) gave him the essential skills and knowledge to return to his native U.S., anxious to plant his orange-clogged feet firmly in the Italian restaurant business. "In his new cookbook, Italian Grill, the star chef steps up to the grate with amazing recipes that express his extroverted approach to flavor." "Ingenious....this is an essential collection for any serious backyard cook." "Simple, authentically Italian ingredients and bold flavors are the focus...there's much here to savor." "A super-chef and a famous advocate of the macrobiotic diet make an unlikely pair, but Mario Batali and Gwyneth Paltrow have been firm friends for years. They joined cookbook author Mark Bittman and up-and-coming actress Claudia Bassois on a gastronomic tour for 'Spain...On the Road Again,'which debuts on PBS this month and mixes great grub with banter-filled conversation and mouthwatering backdrops. The team started in Madrid and ate their way through more than 30 cities, taking in fish markets, vineyards and tapas bars, and cooking as well as consuming."